I am part of the workforce for about 7 years now and I am on a state where I want to be stable as much as I want to be. Starting from the ranks to supervisory role and then finally on the managerial level takes a lot of guts and hard work that some people might not know. Most of the younger generation would like to have a silver platter on a instant but I assure you, the road to corporate success is not an easy feat. 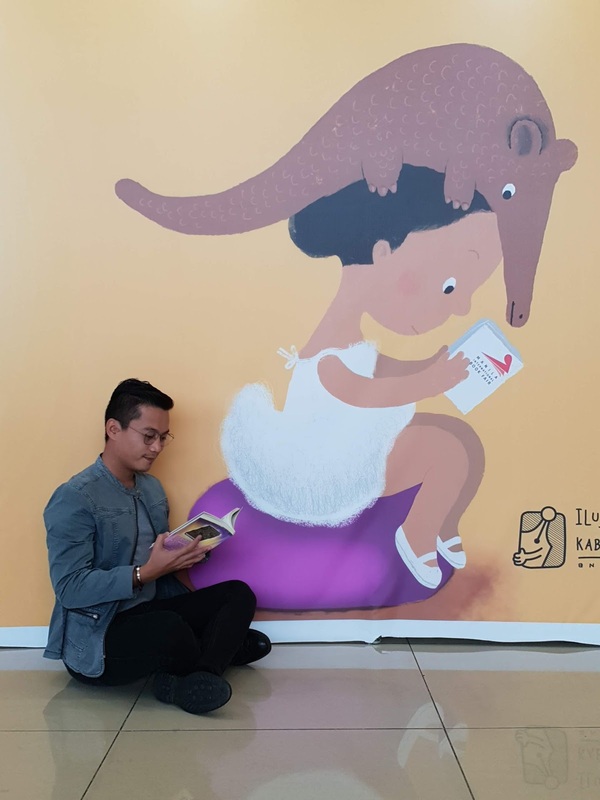 I am not saying I am very much successful but I believe I am in a good state where I can do things I love outside work while enjoying every bits of the corporate setting. The start of -ber months doesn't only signal Christmas preparations but also performance review sessions of the year that was and preparations for upcoming project works. It also entails work evaluation and appraisal. I usually get ready with my aces last week of July but this year's a different story. I was caught up with a bunch of deliverables which has a lot of dependencies from other business units causing me not to be able to allot time to review and analyze my dashboards. My copy! Thank you Ms. Nana! After setting some time for myself to re-evaluate, I come across a book from Nana Nadal entitled, The Career Roadmap: Your Personal Guide to Corporate Career Success. 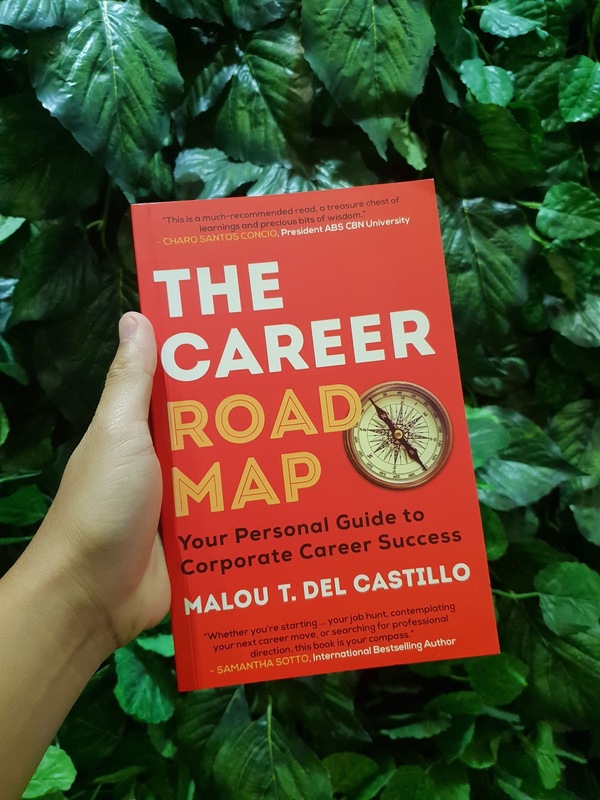 It is written by career coach, Malou del Castillo which is a mix of practical career advise, anecdotal examples of job challenges and success, thought-provoking exercises and easy-to-use templates. The book is actually divided into four parts. The first part focuses on figuring out what you’d like to do, finding out your purpose, and setting a goal. The second part is about the practical side of going after that dream job. The third part is about managing your corporate life and how to manage whatever aspects of that corporate career you have. The last part is about exiting. It’s about resignations or getting redundated. While going through the pages, it made me realized more what I want to have in life and where I want to be in the coming years. 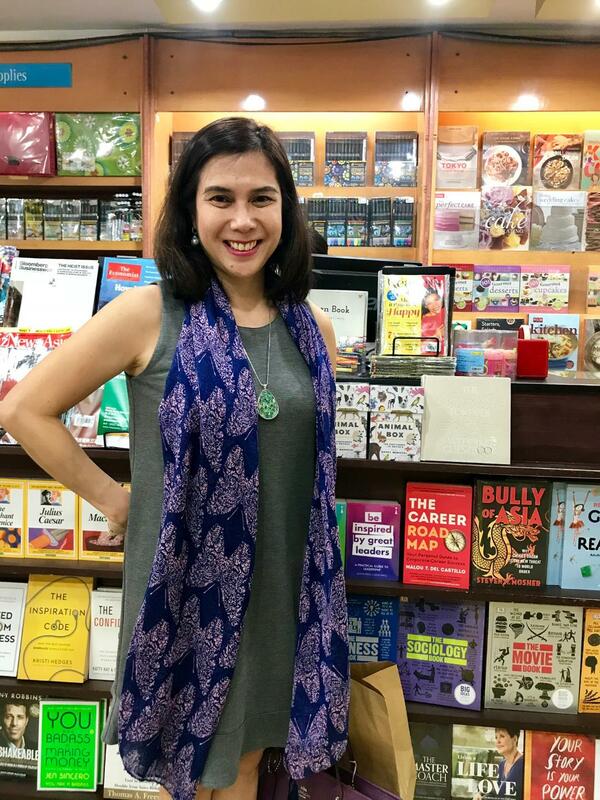 It's great to connect with someone (Ms. Malou del Castillo) or something (The Career Roadmap: Your Personal Guide To Corporate Success) which will help you discover more of yourself and make things work for you. If your interested to have a copy of the book, it is priced at PhP 350 and is available at National Bookstore: Ayala Fairview Terraces, SM Fairview, SM North Edsa, Trinoma, Cubao Superbranch, Quezon Avenue, Greenhills, Robinsons Galleria, SM Megamall , Shangri-la Plaza Mall, SM Aura, Market! Market!, Glorietta, Greenbelt , SM Mall of Asia, SM Manila, SM Bacoor, Robinsons Ermita, SM Las Pinas, Festival Mall and Powerbooks: Trinoma, SM Megamall, and Shangri-la Plaza Mall. Ms. Malou del Castillo is also a licensed psychologist and works with those struggling with mental health conditions such as depression, anxiety, and the like. For appointments, email malou.delcastillo@thecareerroadmap.net or send her a message on Instagram, @malou_psychologist_coach.